Emma Hardie is a name within the world of Beauty that most people will have come across, if not just for the incredible Moringa Cleansing Balm which if you haven't tried, then you most definitely should. 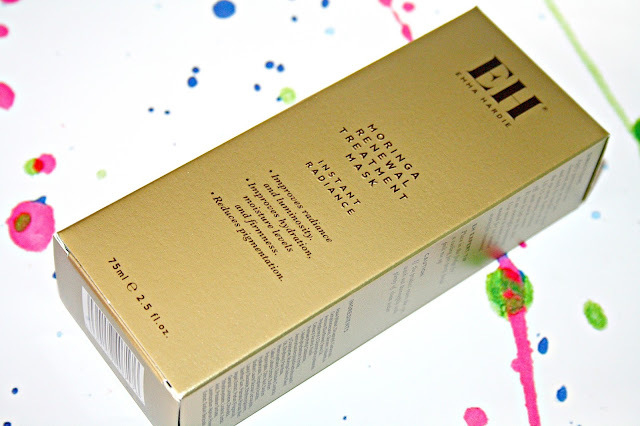 The latest release from Emma Hardie is the Moringa Renewal Treatment Mask which is described as being a rich, indulgent, high-performance cream based moisturising and exceptionally hydrating mask that instantly helps to give the appearance of a tighter and refreshed skin. I absolutely love anything 'Mask' be it an overnight mask, a sheet mask, a clay mask, a bubble mask, a hair mask, hand mask and dare I say it, even a foot mask. Whether it is a product that is left on for a few minutes, hours or even longer, then I want to try it and I want to see what and how my skin does and reacts. There are two ways in which this Mask can be used. Apply generously over freshly cleansed skin to the face and neck whilst being careful to avoid the eye area. Once applied, leave for 10-15 minutes before rinsing off with warm water. This mask can be used once a week or as needed for an intense overnight treatment. I was also told that as an extra treat, you can put this mask into the fridge 15-30 minutes because you intend to use it and then as it is applied, the cooling sensation is really quite something and on a hot summers day, this would be just divine. The mask itself is luxuriously creamy without being too thick applies like an absolute dream to my skin. The first thing you notice is the all too familiar citrus scent from the Moringa Oleifera Seed Oil, a scent which is just divine. 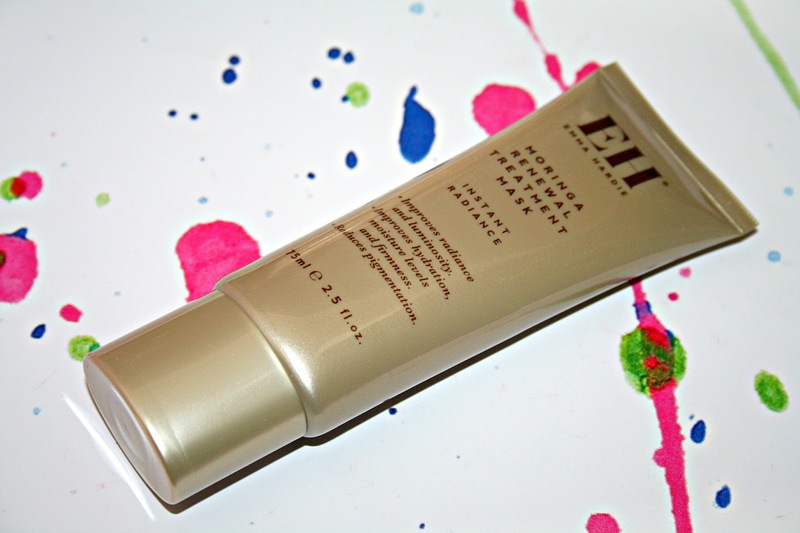 After using, well as you might expect, this treatment mask definitely lives up to its expectations. My skin is soft and smooth to the touch, the dehydrated feel kicked into touch and I am left with incredibly hydrated skin. An absolute must for any Emma Hardie fan, you can find this mask currently on sale at Marks and Spencer for £49 right here. I love that you can use this mask in a number of ways. I'd probably use it as an overnight treatment. I have this too and its so luxurious and creamy. I haven't tried putting it in the fridge though - that would be a super treat! I love this mask so so much, it is so good! I’ve never tried this brand. I do love face masks! This mask sounds lovely! I love Emma Hardie, need to try more of her products!